JSL Bathrooms. Bradford. Yorkshire. Specialists in hard to find bathroom ceramics and Plastics. Branded Names at low trade prices. 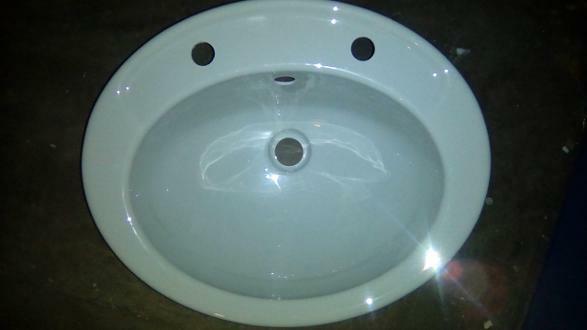 Oval Acrylic Vanity Bowl. Inset. Oyster is a greyish blue colour. By the side of blue it looks grey and vice versa. Oyster is a greyish blue or a bluish grey if you prefer. Always makes blue look grey and grey look blue. Pictured. An acrylic Inset Oval Shaped vanity bowl by Aquarius in the colour Oyster. Two Tap Hole.